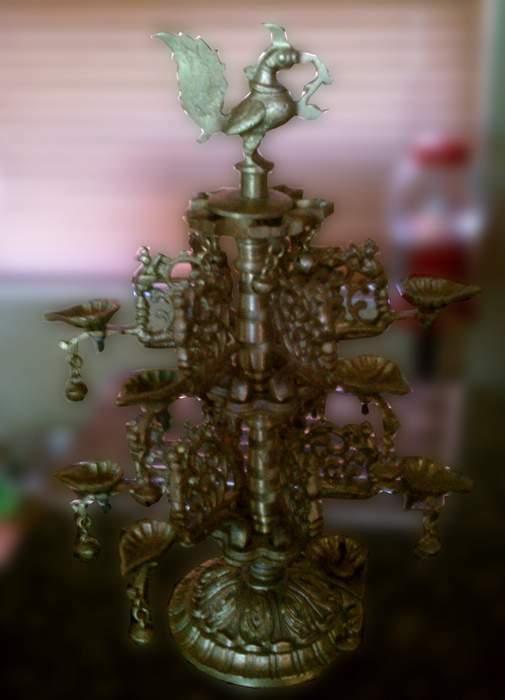 Description: About 12 inches tall and has 12 numbered branches with leaf holder and jingle bells that can be removed. It is very heavy. 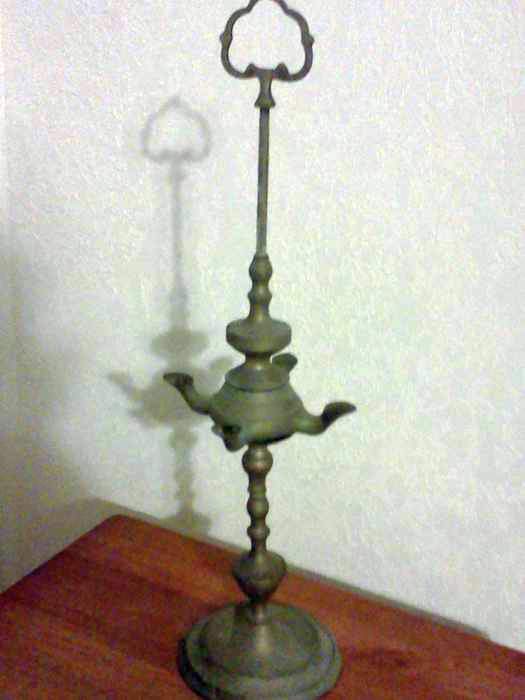 Could be a kind of Aarti lamp. 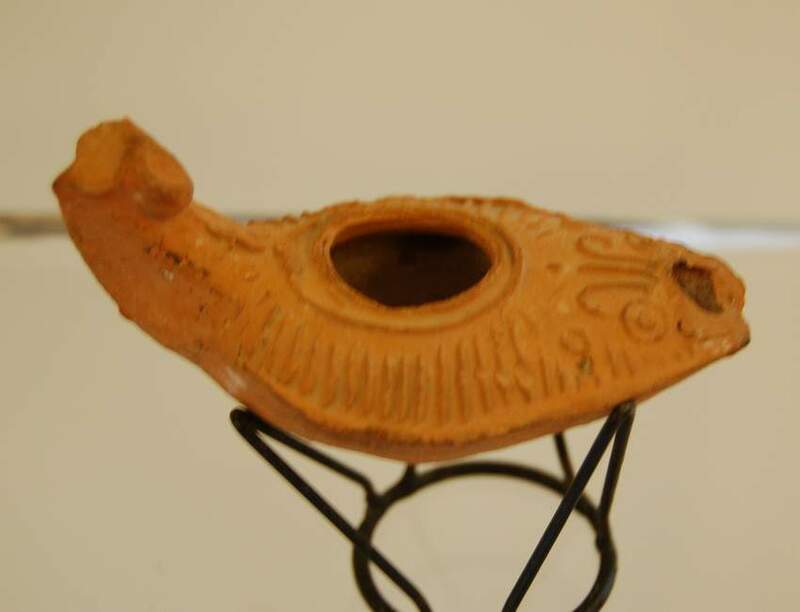 Description: This item should be an oil lamp (Roman / Byzantine) and could be quite old (Ca 400 to 600 AD). 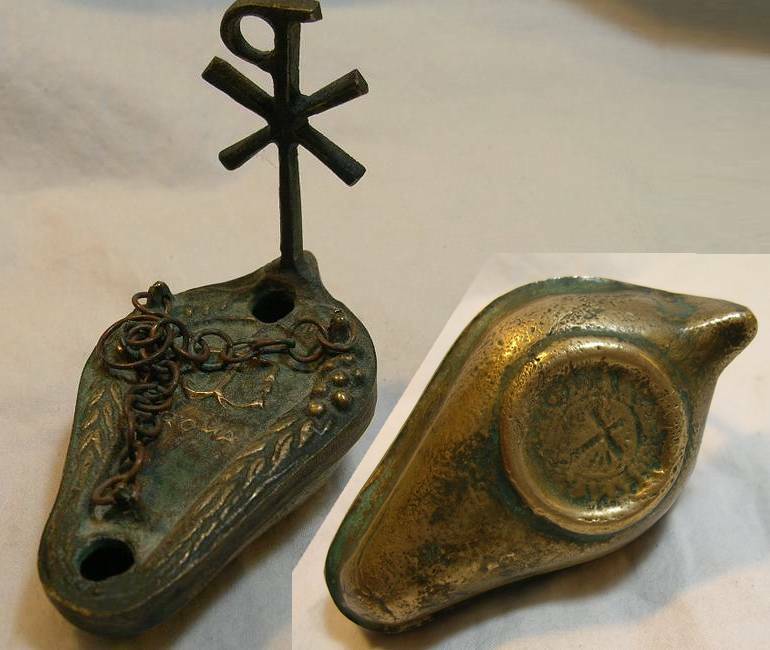 Description: Nice bronze lamp with a large Chi-Rho handle (length:8cm). The Chi Rho is one of the earliest forms of christogram, and is used by Christians. It is formed by superimposing the first two (capital) letters chi and rho (XP) of the name of Christ in Greek in such a way to produce the monogram. 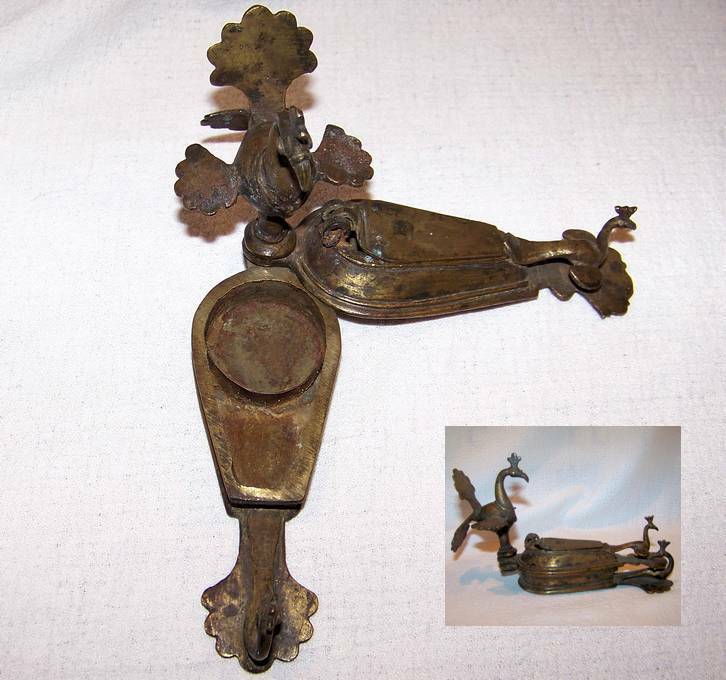 Description: The oil lamp is black metal (may be tin), about 7 in. high, 4 1/2 in. deep and 3 in. wide. 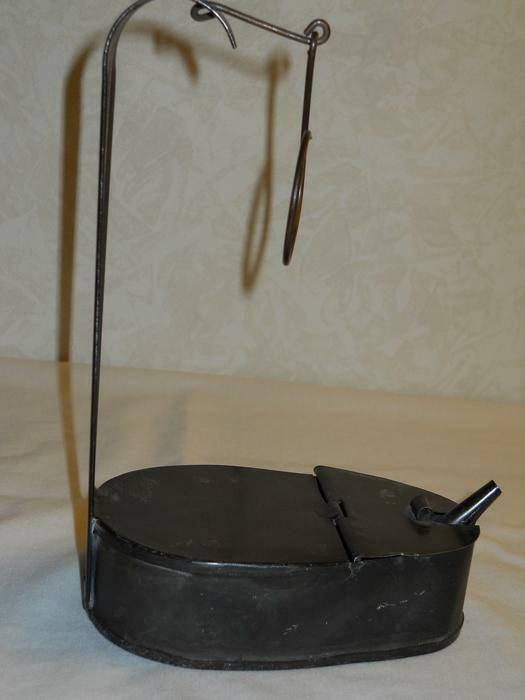 The base is a reservoir and has a small door and a pipe sticking out of it. 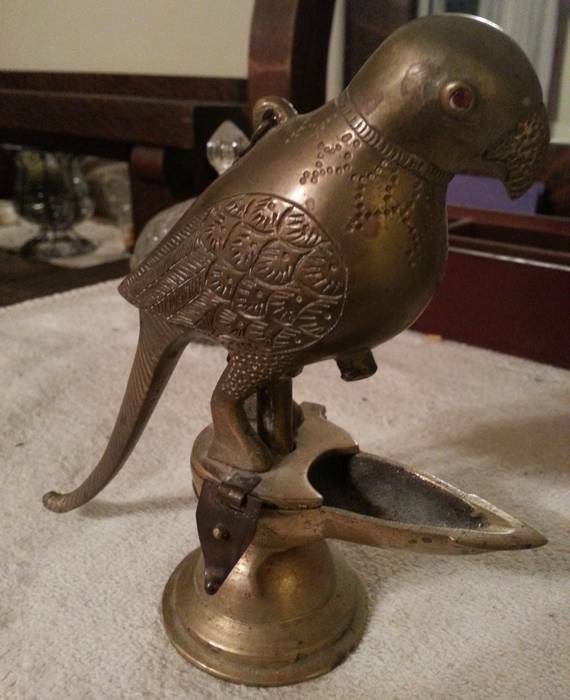 I has a curved handle with a wire noose that might be used for hanging it up. 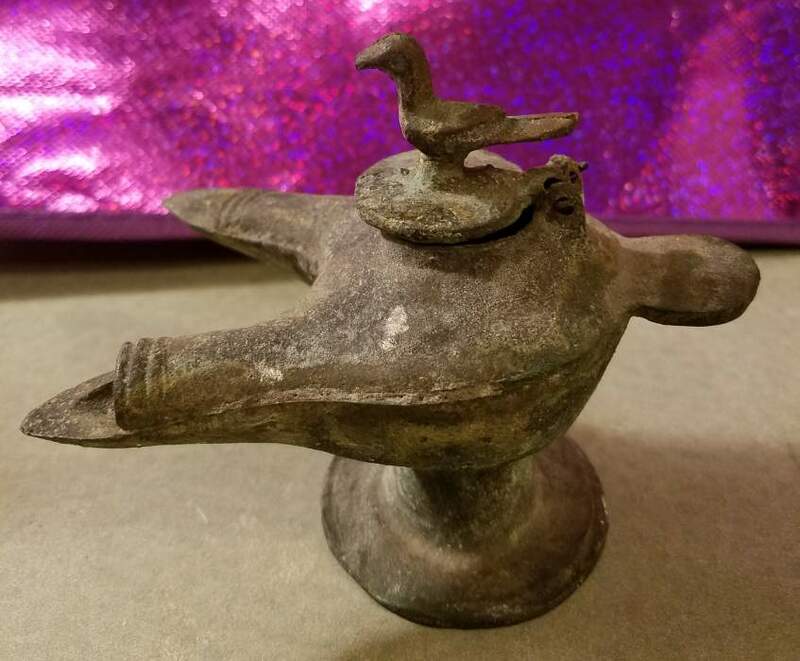 Description: Oil lamp, with a bird shaped handle. Hanging ring on the back of the bird. 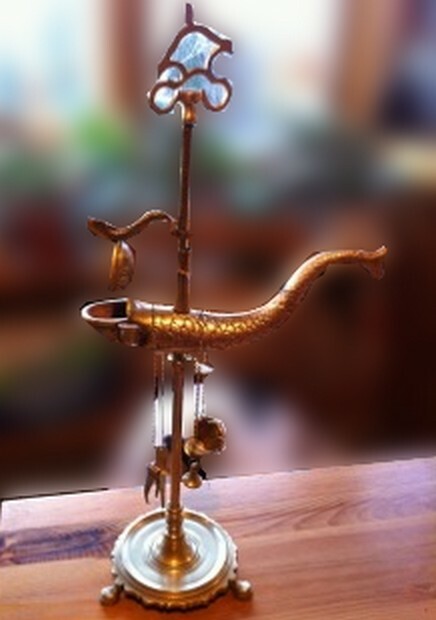 Description: This item could rather be a 2 spout oil lamp. 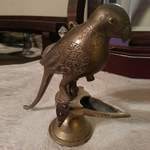 A bird is standing on the lid.